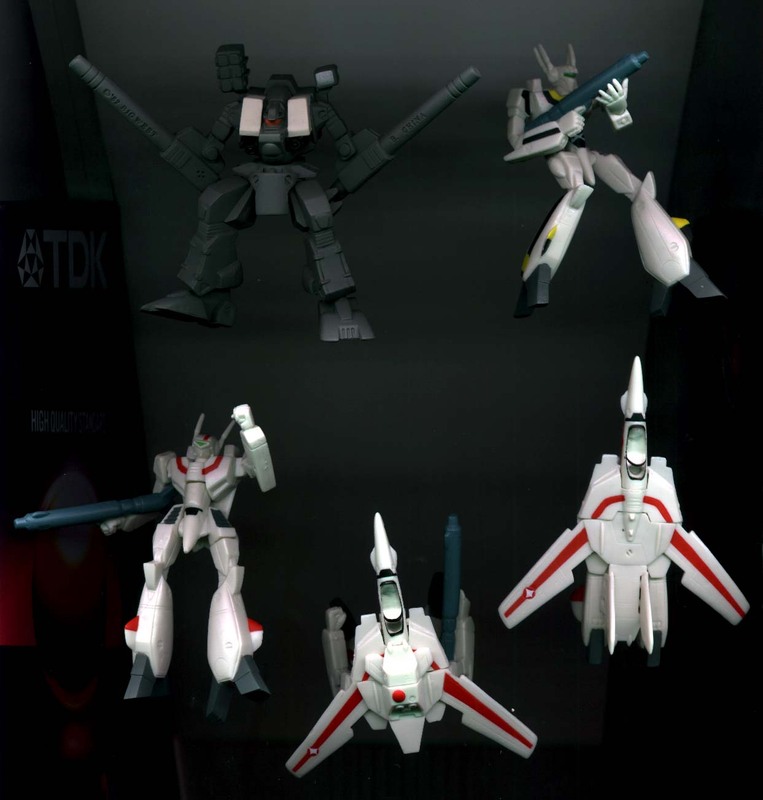 The Macross High Grade Mission # 1 figures are now released. Picture of of the fold out paper that comes with the toys. Note. I've only scanned the front of this paper as the rear is all Japanese text. 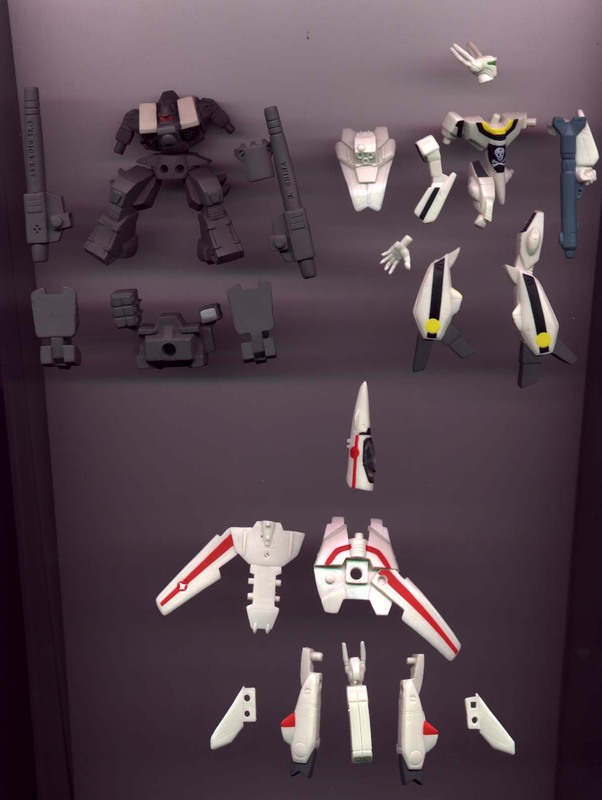 Picture of the actual assembled toys. Sorry if the picture is not that clear, but scanning 3D objects doesn't always work that well (gonna have to get me a digital camera soon). 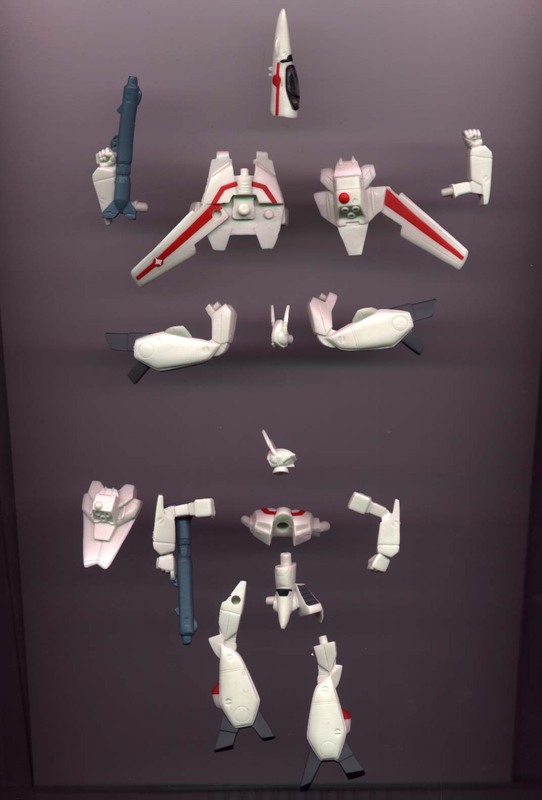 Two scans of the disassembled figures, so you can see how they come apart. I paid just over US $11 for the whole set of five figures. In Japan, these toys are sold in capsules from vending machines. Luckily, here in Hong Kong, it's possible to buy the whole set from a shop rather than getting a random figure each time from a machine.